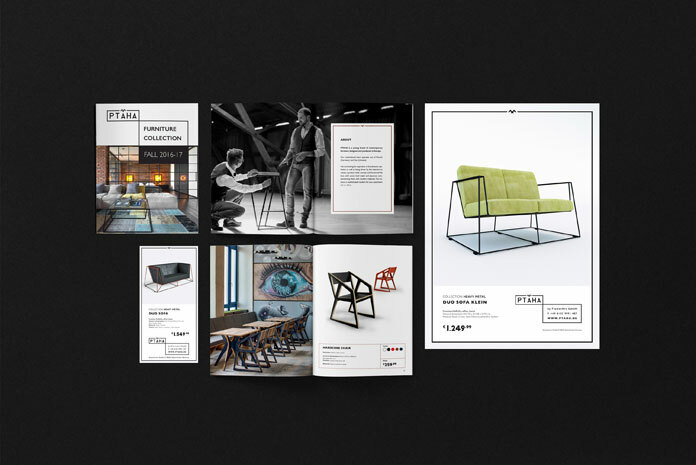 Graphic design and corporate identity development by Roman Vynogradnyi for the Ptaha furniture company. Originally from Europe, Roman Vynogradnyi is a senior graphic designer and art director who currently lives and works in San Francisco, CA. 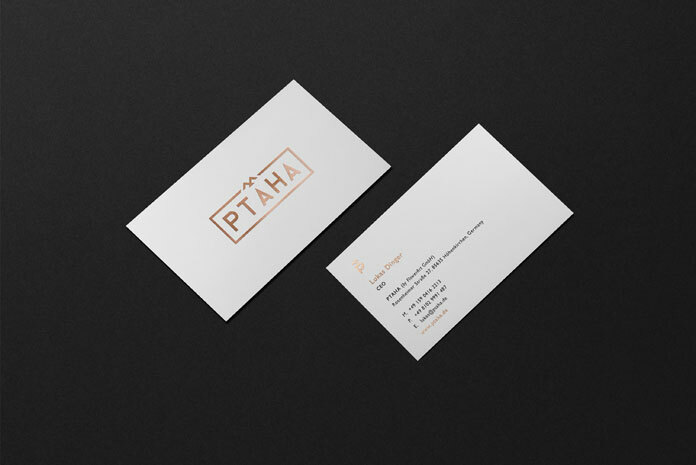 He was recently commissioned to develop a suitable corporate identity for furniture company Ptaha. The brand name is derived from the Ukrainian word ‘птах’, which means ‘bird’. 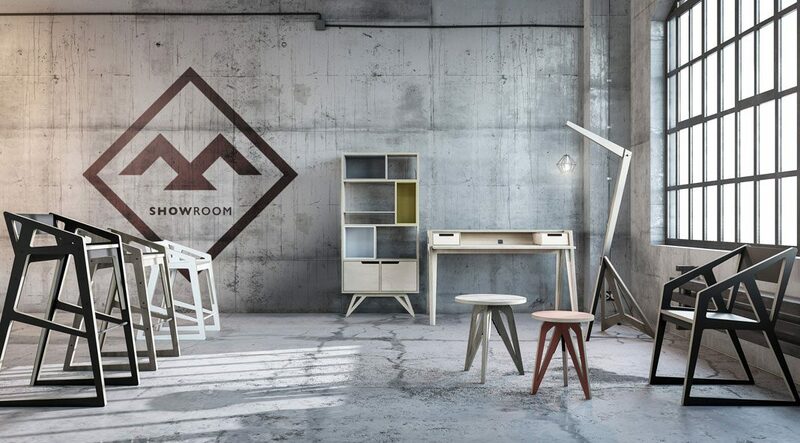 With their multinational team with locations in Munich, Germany and Kiev, Ukraine, they produce modern furnishings for both home and office. 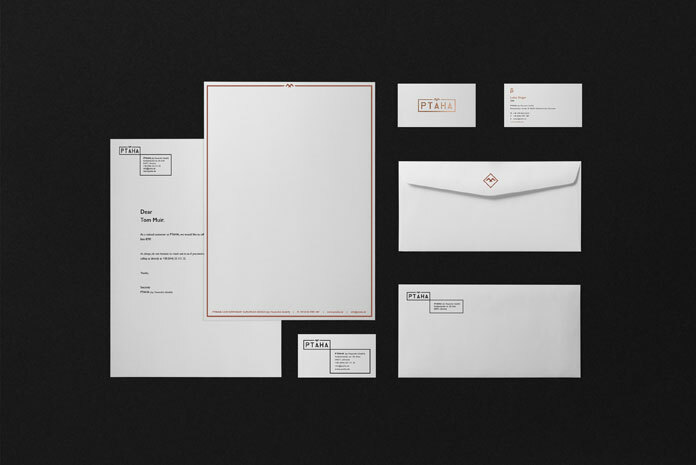 Roman Vynogradnyi came up with a corporate identity concept inspired by Scandinavian aesthetics of minimalism and nature. The logo includes a stylized bird (PTAHA), which symbolizes the brand name. Roman Vynogradnyi has chosen a color scheme that unites natural elements such as metals, bronze, wood, and stone. The result speaks for itself! For those who want to see more of Roman Vynogradnyi’s creative work, please have a look at his portfolio. Promotional materials and printed collateral. All images © by Roman Vynogradnyi. Are you looking for more creative inspiration? Our Graphic Design and Branding categories include a varied range of highly creative work. Whether simple logo designs, branding projects or extensive ad campaigns, we show you most inspiring solutions from all over the world.